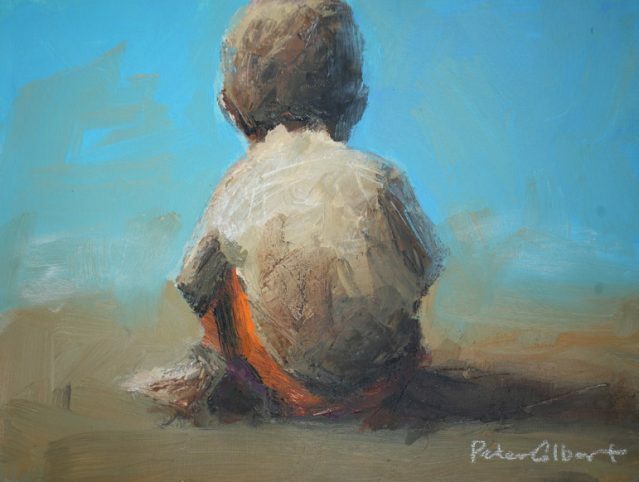 For years Peter Colbert has been offering his small studies on paper or canvas to collectors, and his range of landscape and figurative paintings have been steady sellers for some time. His paintings are currently being sold as originals on canvas, flat or mounted studies on 12 x 16″ wood panels with glossy varnish for protection. Each panel has the sides painted to match the art, ready to hang on your wall. Shipping is easy and included in the price, everywhere in continental North America.